The NBDC recently organized a capacity building workshop (8-10 May 2013) to address feed resource needs identified by local NBDC partners and beneficiaries. Enclosure of communal grazing areas through collective action. In the first year 40 farmers participated in Diga, 96 in Jeldu and 13 in Fogera. After the first year of pilot interventions the innovation platform members evaluated their activities and identified some gaps in knowledge and skills related to the design of fodder interventions. 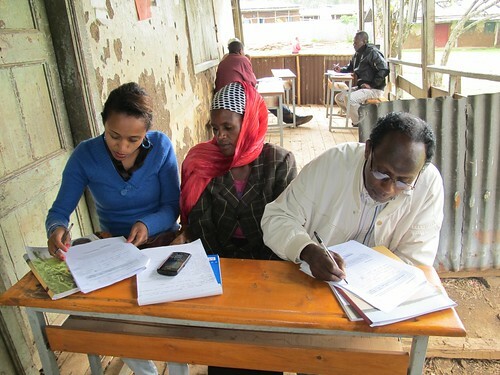 To assist this process, NBDC researchers organized a capacity building workshop (8-10 May 2013) to train local partners in the use of tools that would enable the assessment of the existing feed situation in their area, current livestock management practices and farmer needs. This was followed by practical fieldwork so that IP members could experience implementing the tools first-hand. The Feed Assessment Tool (FEAST) which was developed by ILRI’s Alan Duncan and colleagues is a systematic method to assess local feed resource availability and use. It helps in the design of intervention strategies aiming to optimize feed utilization and animal production. 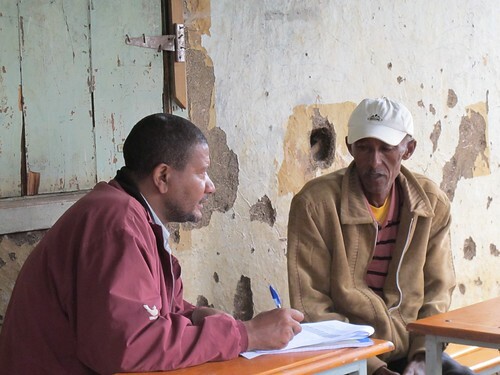 It comprises two parts: PRA part which aids group discussion with groups of farmers and individual questionnaire interview part which captures information at house hold level. The Farmers’ Need Assessment (FNA) tool is complementary to the FEAST and helps list the possible existing problems/needs and prioritizing by pair-wise ranking. The combined FEAST and FNA produces complementing information which can be used to identify possible interventions. 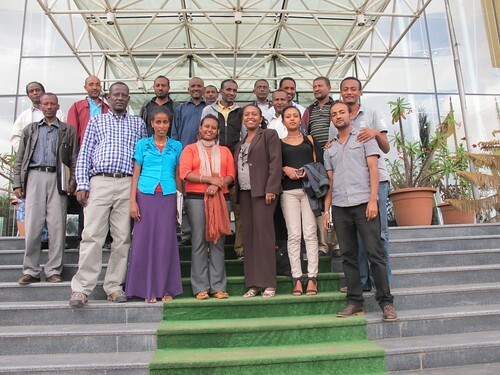 Fifteen innovation platform technical group members from the three NBDC sites attended the three day training at Beshale Hotel in Addis Ababa. These included representatives of local research institutions, universities, NGOs and experts from woreda agricultural offices. The training was given by Professor Adugna Tolera of Hawassa University who has provided similar training to stakeholders in other ILRI projects, and Ato Adissu Mulugeta, a private consultant who introduced the data entry software. ILRI-NBDC staff (Zelalem Lema, Gerba Leta, Tsehay Regassa and Aberra Adie) assisted the training in facilitating group works and field survey exercises. Zelalem Lema led the overall facilitation process during the training period. Beth Cullen (ILRI) who coordinated the training event made the opening speech on the first day and emphasized the importance of the training to assist the ongoing action research at the NBDC sites. Kindu Mekonnen (ILRI) made technical contributions to the FNA format development and other issues discussed during the training. The first day of the training oriented the participants about the background and contents of the tools, including familiarization with the software. Holeta Agricultural Research Centre facilitated the practical field testing of the tools which included a data collection exercise with farmers in the village of Wolmera Woreda in the Holeta area. During the third day the trainees practiced data entry and reporting using software. During the reflection session at the end of the training, the participants appreciated the usefulness and user-friendliness of the tools. Finally, the trainees expressed their ambition to implement the knowledge they acquired during the training and generate baseline information to contribute to the action research at their respective sites. They soon developed an action plan to collect and analyze data and produce a report in order to gather information before the commencement of the cropping season. The aim will be to build the local research capacity of key IP members and to use the results to tailor the innovation platform pilot fodder interventions to the local needs and situations.